From November 12 to 16, the fifth Network Training Event of SuPER-W took place in Prague, Czech Republic. The theme of this event was “Business case development in the field of resource recovery, energy and product from wastewater”. Prof. Jan Bartacek, Prof. Pavel Jeníček, and Dr. Lucie Pokorná, partners from University of Chemistry and Technology Prague (VSCHT Prague), organized this successful five-day event. During the first two days of the event, the ESRs gave an overview of their research and training progress. Thanks to the consortium partners and external expert Prof. Eric D. van Hullebusch, the ESRs received practical questions and constructive comments that are very much appreciated and are considered essential for future development of their projects. Updates on communication and dissemination activities followed, in which the ESRs presented their progress on outreach activities. 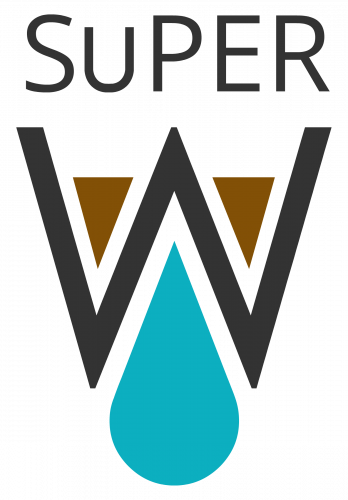 Besides continuous updating of the website and printing of t-shirts and hoodies with the SuPER-W logo on, three additional outreach projects targeting different audiences were set up by SuPER-W ESRs to increase public awareness on the importance of resource recovery from wastewater. These are (1) preparation of an educational tool in the form of a video for teenagers (14-18 years of age) regarding different wastewater treatment technologies; (2) development of a tool to teach pupils within the age range of 11-14 years about environmental technology with special focus on wastewater treatment and wastewater resource recovery; and (3) preparation of a chapter of reuse of irrigation water in an open online course (MOOC) regarding resource recovery from wastewater. More information about these projects will be available soon at the website. The second day ended with a Prague city tour guided by Prof. Bartacek himself, followed by a relaxing network dinner. The 6th workshop of the program, related to business case development, started with a lecture from Dr. Ondřej Beneš, the Commercial Director of Veolia Water Czech Republic. It was very inspiring and helpful to get an overview of water management and regulations in Czech Republic and in EU in general. Discussions about project management in the water sector followed, where Dr. Beneš emphasized the essentials for a business project to succeed. To supplement the previous lectures, Petr Horecký of Biothane presented business cases demonstrating successful research to full-scale deployment. Michal Zálešák, the founder of Prague Start-up Centre, also shared his experiences and tips in start-up business cases. Jan Marek of Deloitte shared his expertise in managing risks associated with business cases. To wrap up the three-day workshop on business case development, the ESRs were divided into groups to work on different business cases regarding water industry macro trends and projects related to climate change and human factors. Being equipped with the knowledge gained from all the speakers, they were able to defend the business cases they presented to the jury. The event was capped off with a visit to the historical facility (now a museum) of Old Prague’s wastewater treatment plant (WWTP) in Bubeneč, which is one of the firsts of its kind in continental Europe. This iconic WWTP combines aesthetics with functionality to an epic level for the time. This visit encourages the ESRs to follow their predecessors’ footprint to become real water heroes of our time. It was an intensive, but fruitful week for the ESRs and all participants. The next SuPER-W training event will take place in Gent, Belgium in July 2019.